Butrint has been one of the largest archaeological projects in the Mediterranean over the last two decades. Major excavations and a multi-volume series of accompanying scientific publications have made this a key site for our developing understanding of the Roman and Medieval Mediterranean. 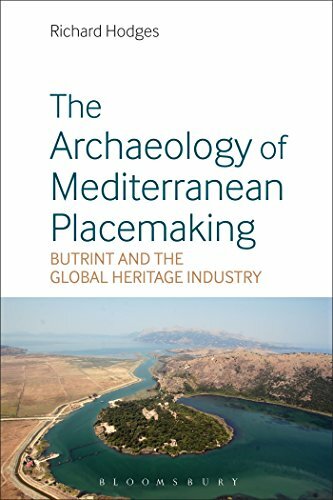 Through this set of interwoven reflections about the archaeology and cultural heritage history of his twenty-year odyssey in south-west Albania, Richard Hodges considers how the Butrint Foundation protected and enhanced Butrint's spirit of place for future generations. Hodges reviews Virgil's long influence on Butrint and how its topographic archaeology has now helped to invent a new narrative and identity. He then describes the struggle of placemaking in Albania during the early post-communist era, and finally asks, in the light of the Butrint Foundation's experience, who matters in the shaping of a place – international regulations, the nation, the archaeologist, the visitor, the local community or some combination of all of these stakeholders? With appropriate maps and photographs, this book aims to offer an unusual but important new direction for archaeology in the Mediterranean. It should be essential reading for archaeologists, classical historians, medievalists, cultural heritage specialists, tourism specialists as well as those interested in the Mediterranean's past and future.